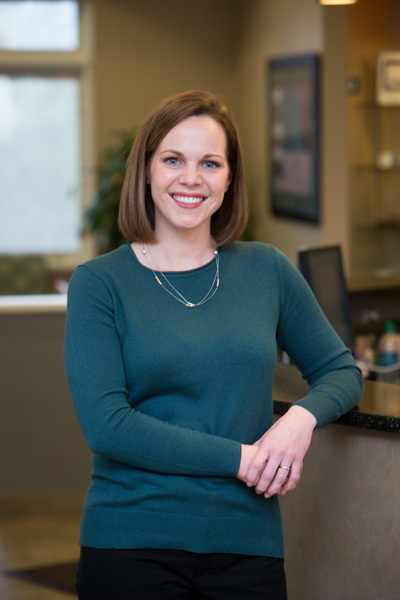 While Dr. Stigall has only been in private practice with her father Dr. Roehm since 2006, she’s been working in the office since she was 13 years old. She’s been around orthodontics her entire life and loves her profession. Dr. Stigall’s first, and foremost, a mom to four young girls- Berkeley, Annabelle, Sadie, and Sylvie and treats all her patients the way she’d want her daughters to be treated- with love, respect, and kindness. Dr. Stigall and her husband, John, enjoy traveling and cheering on the girls in their various activities. In her free-time she loves to cook and bake, does yoga, and plays with her kids. Participated in the 2014 Mission of Mercy in Peoria, IL.